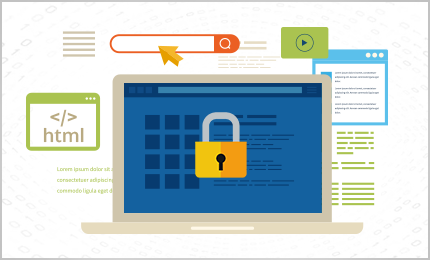 Web application security refers to the process of protecting websites and online services against a variety of security threats that exploit vulnerabilities in an application’s code. Web application attacks often target content management systems, SaaS applications, and database administration tools. The inherent complexity of their source code, which increases the likelihood of malicious code manipulation and unattended vulnerabilities. High-value rewards, including personal data collected from successful source code manipulation. Effortless execution as it is possible to easily automate and launch most attacks against even hundreds of thousands of targets at a time. Organizations failing to protect their web applications run the risk of being attacked. This can indeed result in damaged client relationships, revoked licenses, information theft, and legal proceedings. Implementing SSL encryption is a significant strategy when protecting applications handling sensitive data. You can also protect information by configuring your web server to automatically redirect all HTTP requests to encrypted pages. This will help in preventing session IDs or passwords from being transmitted clearly. The identification of security requirements is vital when developing effective protocols. You will have to assess all those factors most likely to influence the security of web applications. Following the identification process, it is wise to prioritize the factors of greatest impact in order to establish the most ideal strategies. Password reset systems are generally based on personal questions. If this is the case with your web application, it is the best to set up a system in which the questions are tough to guess. When developing this system, ensure that the reset option does not disclose whether an account is valid or not, thus helping to prevent the enumeration of usernames. Refrain from storing unfiltered user entries in a database. In order to accept HTML from a user, filter it manually. Try not to store confidential information in a location that is accessible from the browser. Encode HTML to convert the potentially harmful script into display strings before displaying unreliable information. Always understand that manual processes can be tedious and long, and there are security breaches that can actually escape human eyes. This is the reason why it is highly recommended for you to automate the detection of vulnerabilities of your web applications through a tool. his improves traffic on your website and blocks hackers from using software vulnerabilities. This permits your website to perform faster than before. Delivers web content faster by caching at a global data center to shorten distances, provide website security, and meet traffic spikes. With the help of website malware removal, website hack repair provides an in-depth report on areas you need to deal with. Permits you to know the exact malware that keeps attacking your website. Operates at all web servers and acts as a customer inspection point to detect and filter out content like embedded malicious website code. Advanced intelligence that can leverage current events and data from 85M+ endpoints and 100M+ domains. Certified experts using advanced technology to resolve security incidents at a faster rate.